A master’s degree in social work is one of the most widely marketable degrees in higher education. Not everyone, though, has the ability to attend a traditional, on-campus graduate program. For those who already have significant time commitments in their lives, an online master’s in social work might just be what they’re looking for. Adjusting to the reality of today’s world, a large number of schools have begun offering graduate courses and degrees that align with the modern individual’s changing needs and time constraints. Because of the increasing number of options to consider, we have created our own unique ranking of CSWE-accredited online Master of Social Work programs to help narrow your search. Our list takes into account the following criteria: Affordability (50%); Breadth of Concentrations (25%); and School Reputation (25%) according to U.S. News & World Report. The online MSW program from the University of Texas Arlington offers students both full-time and part-time online MSW degree plans that range from 1-3 years in duration. UTA offers an accelerated full-time online for Advanced Standing students that can be completed in 12 months. The accelerated online program offers 8-week classes and is designed to meet the needs of highly motivated students. The accelerated online cohort program begins every fall semester. Slots are limited and competitive for the accelerated online program. UTA also offers a regular online full-time cohort program for Advanced Standing and Traditional students that can be completed in 16 months and 26 months, respectively. Classes in the regular online program are 16 weeks long and are designed for students who want to finish fast, but prefer 16-weeks model classes and a slightly smaller course load. The regular online cohort programs begin in the fall and spring semesters. In addition, UTA offers an online part-time cohort program. UTA has expanded their online offerings to include three specialty areas: Direct Practice with Children and Families, Direct Practice in Mental Health and Substance Abuse, and Direct Practice in Aging. For students who prefer a mix of face-to-face and online classes, UTA’s hybrid cohort programs may be a good fit. There are two main specialty areas: Community and Administrative Practice and Direct Practice. The latter concentration includes: Direct Practice with Aging; Direct Practice with Children and Families; Direct Practice with Health; and Direct Practice with Mental Health. To be a second-year, or “advanced,” graduate student, students must have either a BSW degree, or have satisfactorily completed the first year MSW courses, including the first field placement. For the advanced field placement, the Office of Field Education facilitates the assignment to an agency or organization where the student must complete a total of 480 agency-based hours in one or two semesters. That is, students may choose to enroll in a “block” placement wherein they complete 480 agency-based hours in one semester, or may choose a “split” placement wherein the student enrolls in field for two consecutive semesters completing at least 240 hours each term in the same agency. 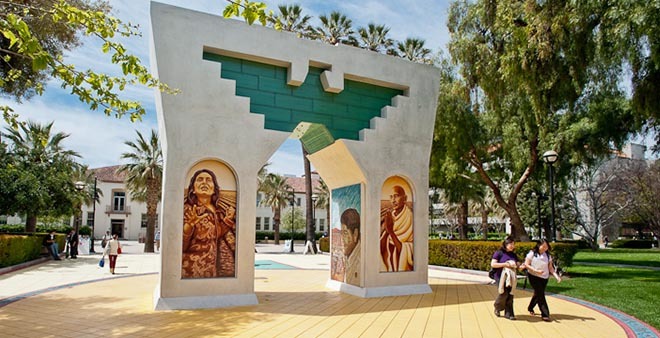 San Jose State University’s Online MSW Program prepares students for professional practice that enables them to work competently with Latinos, other minority groups, and those communities, groups, families, and individuals who are disenfranchised, oppressed, and/or marginalized. It is this emphasis on transcultural practice that makes the program unique. This perspective further guides the school’s curriculum such that graduates of the program are committed to enhancing the well-being of individuals and their communities, building upon the strengths of diverse cultures, and advocating for social justice. The Online/Hybrid MSW Program is a 2-year program that requires continuous part-time enrollment (i.e., 2 academic courses and a field education course concurrently through the calendar year). In this program, academic courses are completed online (with asynchrounous sessions and synchrounous sessions usually on weekday evenings), and field education is completed in-person. The course plan and field internship are scheduled throughout the calendar year. Courses per session, depending on subject matter and competencies covered, range from about 3 weeks to 11 weeks for academic classes, and as long as 24 weeks for field internship. Please consider interest in the Online/Hybrid Program carefully. There are some opportunities that are limited in this program. Specifically, the aging field of practice, the Title IV-E Child Welfare Training Program, and the PPSC Program (starting with incoming students Fall 2018) are not available in the Online/Hybrid Program. At the beginning of the MSW Programs, students develop a solid foundation in generalist social work practice to empower individuals, families, and communities in order to promote the well-being of communities of color, populations-at-risk, and groups that are disadvantaged, oppressed, or marginalized. In all MSW Programs, the advanced curriculum focuses on the Concentration of Transcultural Multi-Systems Practice. This builds upon the foundation curriculum and students become more competent in integrating theories, models, and professional values with transcultural multi-systems practice at micro, mezzo, and macro levels. Students identify a field of practice to study more in-depth such as (a) aging; (b) children, youth, and families, and (c) health/mental health. University of Nevada’s Online MSW Program helps students gain the knowledge to address complex problems in diverse environments, including under-served rural communities. UNR’s mission is to create effective, ethical social work leaders and practitioners. The University of Nevada, Reno is a constitutionally established land-grant university emphasizing education that best serves the needs of the state, region and nation. UNR’s program is solely structured around advanced generalist practice (AGP), which prepares social workers to be more versatile for the diverse array of challenges and opportunities they may face in their careers. Social work is not an exclusive discipline. It’s not UNR’s aim to prepare rigid specialists. Social workers collaborate with many professions, including psychology, public health, education, business and medicine. Social work is changing, and UNR’s mission is to prepare agents of change. The program is intended to prepare students for any level of practice, including clinical social work. The program is designed to serve different learning needs. The Advanced Standing Program is a 32-credit-hour program for students with a BSW degree, allowing for students to graduate in as few as 15 months. The Traditional Program is a 62-credit-hour program for students with non-BSW degrees. The foundation program also includes a three-day residency featuring time at the University of Nevada School of Medicine patient simulation facilities. The University of Nevada, Reno cares about the science side of social work. Their online Master of Social Work program relies on scientifically supported research and knowledge to prepare students for work across multiple disciplines. They also teach students how to drive change through innovative problem-solving. When one becomes a social worker, they must be prepared for anything. So UNR’s program is structured that way, too. Advanced generalist practice (AGP) is the perfect fit for Nevada’s unique urban and rural settings, particularly in areas with limited resources for social programs. The emphasis prepares Master’s in Social Work graduates for working in a variety of situations. Generalists have the advantage of being able to work autonomously with individuals, groups, couples and families, as well as serve as members of integrated multidisciplinary care teams. University of Houston’s Online MSW Program is a great option for independent, self-motivated learners requiring a flexible schedule. Students will be assigned to a cohort and take online classes with their cohort throughout the program. During this time, through discussion boards and innovative technology, students develop supportive professional relationships with their online classmates that enhance the learning environment and help establish a network of support throughout the educational process. While this program is designed to offer flexibility, courses are designed with firm deadlines and due dates for learning activities and assignments. Keep in mind all accredited MSW programs require students to complete a minimum of 900 clock hours of field work. Field placements are student learning opportunities which offer MSW students hands-on social work practice experience under the supervision of a degreed Master Social Worker. Online students work closely with the Field Education Office staff to identify qualified agencies in their area. The Master of Social Work prepares students for professional social work by developing the skills needed to provide direct social services, and create programs that encourage the development of human potential. In this program, students will use innovative technology to establish a network of learning and develop supportive relationships with instructors and fellow students. 63 credits are required for completion of the degree with a minimum GPA of 3.0. There will be approximately 25 students assigned to a cohort. Because this is a relatively small class size, students will receive individualized attention from instructors. Most interaction takes places between instructors and students through threaded discussions. However, some faculty may hold ‘live’ office hours or ‘live’ class meetings via webcam, similar to a video conference. Many courses will require group assignments, where students will have to work together. The University provides a learning platform that allows for synchronous group meetings utilizing audio and/or video technology. Western New Mexico University’s Online MSW Program is designed to help graduates gain the knowledge, values, and skills to practice social work in a variety of settings with people young and old. From counseling to case management and advocacy to intervention, WNMU graduates find fulfillment in applying their skills to improve the lives of the people they serve. WNMU’s MSW program is nationally accredited by the Council on Social Work Education. At the MSW level, social workers find fulfilling careers in private practice, hospitals, schools, government agencies, non-profit organizations, correctional facilities, community mental health clinics, nursing facilities, child welfare agencies, drug and alcohol treatment facilities, out-patient clinics, and more. Wherever people need help, social workers are there. WNMU emphasizes the core social work values of service, social justice, dignity and worth of the person, importance of human relationships, integrity, and competence in a caring and nurturing environment with small class sizes. WNMU courses are taught by professors who are licensed professional social workers; here, faculty have actually practiced social work, and they love to share their experiences in the classroom. The social work department offers a wide range of electives to support student learning in their areas of interest. While students may select elective courses from any academic area, students may also take any of the social work electives in addition to social work workshop courses, which provide variety and focused learning experiences from semester to semester. Students don’t ever need to come to the WNMU campus. All courses can be taken from home/work, and the practicum can be done with an MSW in the student’s area. They would need to find and recruit that MSW, and WNMU’s Field Director will take it from there. Most students have used Skype, or something similar. Some courses are like that, with some of the students in various communities across the US sitting at their own computers. Some students are in New Mexico, and go to one of WNMU’s branch campuses to take classes, and they use Instructional Television. Once a week, there are classes for students in field. The student’s local MSW would work with the field director to set them up with a learning contract and responsibilities, just as if they were in town on campus. Arizona State University’s Online MSW Program prepares students to work with individuals, families, communities, and in the world at large to promote social justice and find practical solutions to social problems and pressing issues facing the most vulnerable in our society. The ASU School of Social Work is one of the largest and most diverse in the world and is accredited by the Council on Social Work Education (CSWE.) The online delivery of the MSW program provides a vibrant learning platform for engaging with ASU Social Work faculty who are experts in child welfare, health and behavioral health, community practice, administration, global social work, policy advocacy and innovative services for individuals, families, groups and communities. ASU also has expertise in gerontology, forensic social work, human trafficking, Borderlands issues, and several other areas. ASU’s expertise and attention to cultural diversity and the distinct populations of the Southwest are unique. ASU Online offers start dates every 7.5 weeks. There are 20 classes and 60 credit hours in the program. The MSW program follows a set sequence of courses based on a broad range of social concerns and includes two professional seminars with synchronous elements designed for professional development. Along with their courses, students also participate in 960 hours of hands-on field education. Students work with the School of Social Work’s Field Education Office to find internship sites within their geographic region that meet school and CSWE standards. Pre-placement requirements will be arranged and monitored by the field agency. The Master of Social Work online program’s concentration in Advanced Generalist studies will focus on effective and culturally competent service practices across system levels, and strategies for change informed by research evidence. A social work career provides many opportunities to make a difference for those in need – through direct service to individuals, families, groups, and communities; developing innovative public and nonprofit programs; and creating more just social and economic policies. Students in the Online program culminate their experience with SWG 593 Applied Portfolio Project. This culminating course work is tied closely with the concentration year internship. Students must pass the course with a B or their degree will not be conferred. Boise State University’s Online MSW Program is designed to prepare students for advanced social work practice with individuals and families. All classes are offered online. Students learn clinical, organizational, and policy skills necessary for promoting social justice and equality, and enhancing the quality of life for all people. This program is offered online only with no in-person requirements and includes two options: The Two-Year Traditional Track and the One-Year Advanced Standing Track. The first option includes a year of Foundation courses, which emphasize knowledge, skills, and values needed for a strengths-based approach in both micro and macro social work practice. Students complete courses in human behavior and the social environment, social welfare policy and services, social work practice, social work research, and field practicum. The second year of the Traditional Track and the only year of the Advanced Standing Track feature Advanced courses, which focus on advanced professional direct practice with individuals and families. Interventions facilitate and enhance the quality of life for individuals and families in social systems of various sizes. Independent inquiry, commitment to promoting social and economic justice and equality, and commitment to individual and family well-being are emphasized. Boise State requests that students be aware of the time commitment involved with their online programs. Before deciding on a part- or full-time schedule, they would like students to consider: “How much time do I have each week to devote to studying?” And “What other obligations currently require my time?” They also provide a time commitment guide to estimate study times. Field Practicum is a dynamic course that challenges students to apply social work practice knowledge, skills, and values within an organizational and community context. Field Practicum is a vital dimension of students’ graduate social work education. The hours of field practice prepare students to enter the work force as professional social work practitioners. Field Practicum affords experiential assessment and evaluation of students’ development in the process of becoming a helping professional. Students are provided opportunities to apply their academic and practice experiences in the reality of the agency-client-service matrix. Through the supervised field experience, students participate in, and become familiar with, the many components of the social work profession and its varied roles. The ideal field placement offers students a focus on the methods of direct practice, policy development and implementation, and other social work special projects and research activities. The University of Iowa’s online MSW program prepares social workers for leadership in the profession and for advanced social work practice in a wide range of settings. The program’s general focus is on family systems and social change, both domestic and international. Its primary goals are met through a set of professional foundation requirements and advanced courses which enable all students to understand the dynamics of human development and change; to understand the links between society’s structures and families; to acquire skills for working with individuals, families, small groups, and communities; and to learn how to enhance the responsiveness of human service organizations. In May 2018, the University of Iowa began its new 3 year, part-time, online MSW Program. The next opportunity for admission is May 2020, with applications available in September 2019. To qualify students should: Live in Iowa or bordering states who because of geography or life circumstances cannot access the Sioux City, Des Moines, Quad Cities or Iowa City learning centers; be able to commit to both evening classes in real time using video conferencing, and asynchronous classes in which course work is done independently, adhering to deadlines; have the requisite grades; be willing and able to participate in a mandatory four day Summer Institute in Iowa City each year; be willing to work with the Online MSW Program Field Administrator to develop and secure practicum (internship) placement(s) in their own community; be interested in the Integrated Concentration, which is for people who want to be involved with a macro social work function/role; and show potential for being a successful online learner. The online program uses a cohort model in which approximately 25 students will build a learning community, engaging actively with University of Iowa faculty. Twice a year, students in their own geographic area will meet as a group with local social work practitioners. Prospective students are encouraged to talk to an advisor to get their questions answered. The Online MSW Program from California State University (Northridge) is a collaboration between The Tseng College and the Department of Social Work in CSUN’s College of Social and Behavioral Sciences. The program expands students’ career possibilities by offering a generalist approach. The curriculum also enables students to gain the skills and perspective to work at any level: individual/family (micro); group/community (mezzo); and societal/policy (macro). CSUN does not entrust its learning community to commercial providers. Rather, CSUN faculty and practitioners receive training and support to ensure instructional excellence. Students also benefit from the beginning-to-end support of the Tseng College’s professional Distance Learning staff. CSUN’s MSW degree prepares students for careers as direct service providers, administrators, community advocates, counselors, policy makers, researchers, supervisors and service workers in a wide variety of settings, including community and government organizations, health care centers, schools, and more. The online program is a two-year (four-semester), asynchronous, full-time program with the exception of a weekly synchronous field education class. This means that students do not have to be online at a specific time for the academic classes, but must attend a weekly, one-hour (synchronous) online field education class. Online or off-campus, students admitted to the program are guaranteed enrollment in all required courses. What’s more, the complete and on-going support of a designated Program Manager, from application to graduation, frees them to focus on their studies and their field placement requirements. The cohort format of this program facilitates on-time completion of the degree through student interaction on weekly assignments, which also leads to the development of strong professional relationships. Students take two eight-week courses at a time for a total of 20 classes (60 graduate units), plus ongoing 16-week field education classes. Students will not be required to come to the CSUN campus or any other affiliate university campus during the four-semester online MSW program. Field hours will be 16 hours per week during the entire duration of the program. Students must be available for field placement Monday-Friday, from 9am-6pm. Evening and weekend field placements are unavailable. It is not possible for students to complete a field internship at their place of employment. Field placement days and times are determined by the CSUN MSW Field Education Department, based on agency needs, student schedules and employer approval. If offered admission to the CSUN Online MSW Program, students are required to successfully complete a field internship interview. The UNC School of Social Work offers a 3-year distance learning MSW program as part of its highly esteemed social work offerings. Through innovative research that improves practice and enhances education, the UNC school of social work searches for solutions to the challenges of poverty, mental health, violence, and substance abuse. The School has a tradition of excellence in producing practitioners and leaders who are committed to public, private and nonprofit services and to the development of policies and programs that strengthen individuals, families, groups, communities and organizations. The School’s curriculum supports the mission and recognizes the uniqueness of the region served, including concerns for disadvantaged, vulnerable, and oppressed individuals, families and communities. Classes provide rigorous and evidence-based content, and give students the opportunity to explore theory, learn intervention skills and engage in challenging dialogue with colleagues. Offered in the Triangle and in Winston-Salem for students who wish to complete the MSW over the course of three years, UNC’s distance learning option is ideal for students who need flexibility while earning their graduate degree. In the first year of study: Students take two classes on Fridays each semester from 9am-5pm. (This is the only requirement in the first year for students working in human services.) Students not employed in human services must be involved in a volunteer experience to provide opportunities to apply the knowledge and skills gained in the Generalist Curriculum. In the second year of study: Students take two classes on Fridays each semester from 9am-5pm and complete the Generalist field education requirements which are: 16 hours of field education per week, along with a field education seminar every other Friday. In the third and final year of study: Students in the Triangle and Winston-Salem distance education programs must attend classes in Chapel Hill on Mondays and/or Tuesdays as full-time students once they complete the 32 hours of distance education study. In their 3rd year, students will complete their Advanced Curriculum requirements with Advanced Standing and 2nd year full-time students. Field work is undertaken at the same time as coursework. Students are admitted to the 3-year Distance Education programs each fall (August). Orientations generally begin in early August. University of North Dakota’s Online MSW Program develops students’ social work practice and leadership skills to help improve lives, redress injustices, improve systems, and prevent social problems and suffering. The Advanced Generalist emphasis prepares students for all practice settings, including clinical social work. Students are prepared to provide advanced social services to individuals, families and groups in your community; and to develop the skills needed for supervisory, management and program development positions. UND’s programs are especially tailored for students who work full-time and those who want a real connection to faculty and colleagues. The Distance Concentration involves online learning for students who have completed a Bachelor of Social Work (BSW) degree from a CSWE-accredited program while their Distance Foundation concentration is online learning for students without a B.S.W. but with a bachelor’s degree in a related field. The Department of Social Work at the University of North Dakota activities are guided by its mission statement “to advance knowledge and learning and to prepare competent, responsive, and ethical social workers who empower vulnerable populations, promote social justice, and are committed to serving diverse populations”. While the majority of the program is offered online, students will need to come to campus to complete portions of the program. Students’ time on campus is designed to integrate, extend and apply the knowledge they’ve learned during their online courses. This time may include: Traditional classroom lectures; Hands-on labs or simulations; and Opportunities to interact with faculty and other students. Students participate in a 500-hour field placement to better serve their own community, and may be completed in their local community. As an online student in “live” online classes, they will: Interact with instructors and other students using web conferencing technology; See the instructor’s materials as though they were sitting in a classroom on the UND campus; and Participate in “live” class lectures, discussions or chat sessions, which are typically held at set times convenient for most students, such as in the evenings. In this manner, the class lectures, discussion and collaboration are conducted in a very similar fashion to traditional on campus classes. For most courses, if students miss a class they may review recorded classroom lectures and discussions accessible online at any time. The University of Alabama’s Online MSW Program prepares MSW students to make a difference in the lives of others. Regardless of their work schedule, students can earn their MSW through distance learning and join the community of alumni who are serving clients in Alabama, across the U.S. and across the world. The primarily online Master of Social Work program is accredited by the Council on Social Work Education. Courses are offered online and some courses require face-to-face skills laboratory sessions. UA offers two options for earning the MSW: the advanced-standing program and the 60-credit-hour program. Both options offer two concentrations. Children, Adolescents and their Families is designed for students interested in working with children, adolescents, and their families, especially in child welfare and mental health settings. Graduates may practice and take leadership roles in the areas of child welfare, family services, mental health, health care, substance abuse treatment, behavioral health, and other social service fields. Adults and their Families is designed for students interested in working with children, adolescents, and their families, especially in child welfare and mental health settings. Graduates may practice and take leadership roles in the areas of child welfare, family services, mental health, health care, substance abuse treatment, behavioral health, and other social service fields. The Advanced-Standing Program is a 42-credit-hour program for only those who hold a CSWE-accredited BSW. 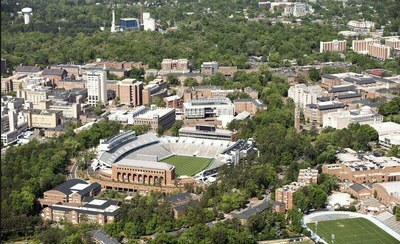 It can be completed in three semesters when pursued full-time. One cohort of advanced-standing students begins every year in late May or early June and another cohort begins every year in January. All classes are primarily online, with face-to-face skills labs held on selected Saturdays at regionally convenient locations across the state of Alabama. Locations for the face-to-face skills labs will be determined based on enrollment. The 60-credit-hour program is for those who do not currently hold a CSWE-accredited BSW. It can be completed in two years when pursued full-time. One cohort of 60-credit-hour program begins every year in late May or early June and another cohort begins every year in August. The first-year and second-year classes will be primarily online, with face-to-face skills labs held on selected Saturdays at regionally convenient locations across the state of Alabama. Locations for the face-to-face skills labs will be determined based on enrollment. 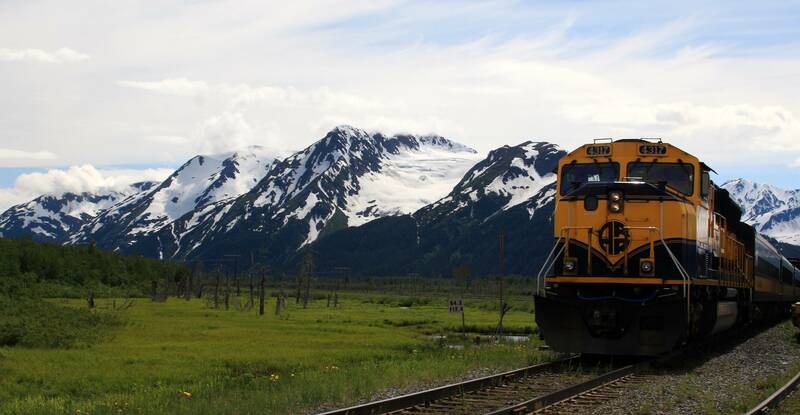 University of Alaska Anchorage’s Online MSW Program is distance-delivered and is accessible to students across the state of Alaska. The courses are delivered using a variety of educational technologies, including Blackboard Learn, Blackboard Collaborate, teleconference, and video conference. Although the MSW program is distance delivered, students and faculty are highly engaged in a community of collaborative learning. Most of the courses require students to attend regularly-scheduled, distance-delivered class sessions each week, which are typically scheduled in the evening from 5:00 – 8:45 pm. All students are required to attend a mandatory MSW program orientation on the UAA Anchorage campus in August of their admission year, as well as periodic MSW program intensives on the UAA Anchorage campus. The program orientation and intensives will be typically held over a weekend (Friday – Monday). Students are required to provide their own transportation, meals, and lodging for the orientation and intensives. Full-time students attend classes during summer, fall, and spring semesters for two years. Full-time students complete the foundation curriculum during the first year, followed by the concentration curriculum during their second year. Full-time students complete two practicum placements in their home community: one is completed in the first year during fall and spring semesters and one is completed in the second year during fall and spring semesters. Part-time students attend classes during summer, fall, and spring semesters for four years. Part-time students complete the MSW program in four years with the foundation curriculum completed during the first two years and the concentration curriculum completed during the second two years. They complete two practicum placements in their home community: one is completed in the second year during fall and spring semesters and one is completed in the fourth year during fall and spring semesters. Students with a BSW degree from an accredited social work program, who are admitted with advanced placement enter the MSW program during the concentration curriculum, and they may attend full-time or part-time. Advanced placement students complete one practicum placement in their home community during fall and spring semesters. The University of Tennessee’s Online MSW Program was created to allow students to pursue a MSSW degree regardless of their physical proximity to one of the two campuses at the University of Tennessee. It’s important to note that whether students take classes on campus or online, the MSSW program is taught by the same professors, is held to the same high standards, and is fully accredited by the Council on Social Work Education (CSWE). The online program has the same flexible courses of study (part time, full time, and advanced standing), the same concentrations (Evidenced-Based Interpersonal Practice and Organizational Leadership), the same ability to pursue a certificate program, and the same field practice (internship) requirements. The only difference between the Online program and the traditional on-campus program is where a student takes classes. At the time of their application, MSSW students choose to complete either a clinical concentration or a macro concentration in order to focus their education to meet their professional goals. While there are some required courses that all MSSW students must take, the chosen concentration determines other courses a student will take while in the program. Courses in the Online MSSW program are taught online through synchronous and asynchronous approaches. Real-time or synchronous courses will make extensive use of interactive video conferencing software and instructional media. (For the “live online” sessions, students log into a video conference session and hear from the professor live – and interact with other classmates at the same time. Live sessions are often conducted in the late afternoons or early evening.) Asynchronous features of the course will facilitate the use of online learning resources to enable information sharing outside predetermined time constraints. Having a computer (laptop or desktop) is a must for those in the Online MSSW program. Students will not be able to do everything that they need to do for classes on just a phone or tablet. Evidenced-Based Interpersonal Practice (EBIP) is a clinical concentration that provides advanced training in therapeutic interventions and group work. Organizational Leadership (OL) is a macro concentration that is based on the underlying principle of social and economic justice. The field practicum is the internship portion of the MSSW program and is a critical – and required – component of each student’s educational experience. The College offers field practicum opportunities with more than 400 agencies. These settings include schools, courts, hospitals, nursing homes, state agencies, homeless shelters, women’s shelters, and mental health centers. Campbellsville University’s Online MSW Program allows students to advance their careers and take on a leadership role in the field of social work while learning how to work with individuals, families, communities and groups. The online Master of Social Work degree from Campbellsville University prepares students for career advancement so that they can move out of entry-level positions in the field. With a curriculum rooted in ethical and Christian ideals, the program helps students develop an advanced understanding of the practical and theoretical knowledge necessary for becoming a leader in social work. With theirr CSWE-accredited online MSW, students can pursue a career in a wide range of areas, including therapy and counseling, community mental health, child protection, the criminal justice system, public advocacy and home health. Students could also enter a career in the VA or while on active duty in the military as an addiction or substance abuse counselor. Through the foundation track curriculum of the program, students examine the basic skills required for performing general social work practice with individuals, families, communities and groups. The curriculum additionally addresses societal changes, influences and trends, as well as multicultural issues and religion. The advanced standing track curriculum option equips students with the skills necessary to identify, assess and address current global social issues. Students also learn the theories, methods and techniques related to intervention with children and families. The curriculum covers other topics, such as psychopathology, change theory, community development and grant writing. With the clinical track curriculum, students focus on psychopathology, addictions, clinical diagnosis and psychopharmacology. Students also learn about clinical administration and the relevant ethics. Students can apply to complete just the advanced standing or clinical tracks if they have already completed the foundation track of the curriculum or have earned a BSW from a CSWE-accredited undergraduate social work program within the past seven years. Each track takes only one year to complete and consists of 30 credit hours. For those who do not already have a BSW, they will need to complete the full 60 credit hours of the program. In addition, the fully online program gives students the opportunity to study whenever best fits their schedule. The degree’s faculty members also have real-life experience that they incorporate into the curriculum. University of Wyoming’s Online MSW Program offers two graduate programs of study, both culminating in an MSW degree with a concentration in advanced generalist social work practice. The University of Wyoming’s MSW Program is a hybrid program consisting of face-to-face weekend classes, video conferencing, and some online course work. The MSW curriculum for both programs is carefully sequenced to provide students the necessary information to proceed to the next level of coursework. The Division of Social Work MSW program is a hybrid program. Weekday classes can be attended from any UW Outreach Center in the state as well as in person at the Laramie campus. In addition, there are five intensive weekends each semester at the Laramie campus. Field practicums can be arranged at virtually any agency around the state so students that live outside the Laramie region can attend their field practicums closer to home if they wish. Elective courses and field practicum placements are used to provide additional emphasis in selected areas. There is only one required summer class for the standard program, and two for the advanced-standing program. Required classes meet only on intensive weekends, not during the evenings. UW also offers electives during the summer, which can meet in person, online, or face to face. The Standard MSW Program is designed for students who have an undergraduate degree other than a BSW degree. Students entering the Standard MSW Program begin their studies in the summer semester. Their first 34 credit hours are directed towards mastery of foundation courses and field practicum that help prepare students for entry into the advanced generalist concentration.The Advanced Standing MSW Program is designed for those students with a BSW degree from a Council on Social Work Education accredited program. Advanced Standing MSW Program students enter the program in the summer of each academic year, where they complete bridge courses which prepare them for continued study within the advanced generalist sequence. Students need to live close enough that they can get to Laramie for intensive weekends. UW now broadcasts their video classes anywhere in the country, so if students have access to internet, a computer or device with a camera and microphone, and are willing to travel to Laramie a few times per semester, they are able to enroll in the MSW program. If there is a need for a student to work, UW recommends they work part time only while in the program. UW finds that when students try to work full time, they either do not succeed in the program or they get very burned out. Virginia Commonwealth University’s Online MSW Program prepares students for advanced practice in either clinical social work or social work administration, planning and policy practice. The guiding principle in educating students is the promotion of a more just society that includes a commitment to the value of diversity and social work practice in a multicultural society. The VCU School of Social Work emphasizes critical thinking, self-awareness, data-based decision-making and ethical integrity. The VCU School of Social Work provides students with the same dynamic and rigorous education whether here on campus or studying from hundreds of miles away. The unique blend of online and in-person experiences provides distance education students the opportunity to complete the bulk of their course work online with only two mandatory on-campus meetings each semester. All distance education students complete internships on site at field agencies throughout Virginia or the Washington, D.C., metropolitan area. The internship opportunity provides students hands-on learning and networking necessary to open doors for future employment. Graduates of this program will be able to address personal and social problems; formulate, implement and evaluate policies and programs; engage in knowledge development for the profession; and influence community decision-making. The educational program focuses on service to and empowerment of people who experience oppression or vulnerability due to inadequate or inequitable distribution of personal, social or institutional resources. Within this context, social work practice is defined as the application of professional knowledge, skills and values across a range of settings and populations for the prevention and amelioration of personal and social problems. The interactions among persons and their environments are the primary targets of social work practice. Services provided by social workers include the restoration, rehabilitation, maintenance and enhancement of optimal functioning of individuals, families, groups, communities and organizations. Knowledge for social work practice is based on analysis and critical application of qualitative and quantitative research from within the profession and related social, behavioral and biological sciences. Skill in professional practice is based on the differential application of theories and research findings about people in their sociocultural and organizational contexts. Skill is developed by the social worker through the educational process, self-critical practice and the use of supervision and consultation. Values in social work practice are articulated in the profession’s code of ethics and reflect the core values of service, social justice, dignity and worth of each individual, importance of human relationships, integrity, and competence. Temple University’s Online MSW Program is about more than the skills students acquire — it’s about compassion and commitment to social justice and change. Temple’s Online Master of Social work (MSW) gives students the training and mentorship they need to make it happen. Temple’s skills-based curriculum offers clinical and macro concentrations, as well as health/mental health and child & family specializations. With Temple’s Online MSW, students are equipped to analyze problems and develop interventions through a systems perspective, considering the interaction of individual, family, community, organizational and policy factors. Temple’s Online MSW is built for working professionals who want the same high-quality education that Temple offers in its in-person programs. Temple’s Online MSW gives students the flexibility they need, thanks to a three-part learning structure: Live streaming course delivery featuring live chats, breakout rooms and discussion boards; Asynchronous online learning that allows students to complete work on their schedule; Local fieldwork practicum in one’s own community, driven by their interests and guided by Temple’s expert fieldwork advisors. Perfect for students returning to the classroom while balancing work and family, classes are taught by the same expert faculty as in their on-campus classes, and designed according to best practices in online education. Featuring a low student-to-faculty ratio, Temple is able to offer personalized instruction and advising. The school’s strong community ties bring real-world issues and agencies into the virtual classroom. Online students have access to Temple’s libraries, writing center, career center, and other resources to help them hit the ground running. There is also an option to complete a dual MSW-MPH degree online. Thanks to the versatility of Temple’s Online MSW degree, graduates are prepared for leadership roles in government, schools, primary care clinics, nonprofit organizations, community organizing efforts and more. Temple MSW graduates can also tap into the 10,000-strong alumni network of national, regional and local leaders in human service and social change organizations—a powerful source of connections and expertise. The Online MSW program is a total of 60 credits completed part-time over three years. Students reserve Tuesdays from 7 p.m. to 9:30 p.m. EST or Saturdays from 11 a.m. to 1:30 p.m. EST for live classes. Academic advising, group meetings and fieldwork sessions throughout the program may be scheduled on Thursdays from 7 p.m. to 9:30 p.m.
Walden University’s Online MSW Program helps students develop in-demand, foundational skills that can help them advance in their field. Walden University’s Master of Social Work (MSW) program is accredited by the Council on Social Work Education (CSWE), and uses award-winning case study videos to facilitate students’ learning experience. Students choose from three degree completion options (Standard, Accelerated, and Advanced Standing) to align with their schedule, as well as four start dates throughout the year. The Standard option helps students balance their online MSW degree program with other life commitments by limiting their workload to one or two courses per term. The Accelerated option is an ideal choice if students can dedicate themselves to full-time studies. This option requires a strong time commitment, as students will take three courses in most terms. The Advanced Standing option is for students who already hold a Bachelor of Social Work (BSW) from a CSWE-accredited program and graduated with a minimum GPA of 3.0— students begin their program with advanced-level courses. Walden’s MSW curriculum features four concentration options from which to choose. The Advanced Clinical Practice concentration is designed for students who intend to become advanced social work practitioners providing services to individuals, families, groups, and communities. In this concentration, students learn to: Utilize appropriate advanced clinical knowledge, skills, and values to address the social service needs of clients; Evaluate intervention plans in order to choose appropriate options for individuals, families, groups, and communities; and Implement evidence-based practices to promote social change, social justice, and environmental justice. The Military Social Work concentration prepares students to address the needs of active military personnel, veterans, and their families. Because individual patients and their families face a unique set of challenges in accessing and receiving medical services, Walden offers a Healthcare concentration. Finally, Social Work with Children and Families prepares students for work in community social service agencies, child welfare agencies, and the juvenile justice system. Edinboro University’s Online MSW Program prepares graduates to work in a wide range of practice settings. These include family-based and mental health agencies, addiction treatment centers, schools, medical and psychiatric facilities, rehabilitation and correctional facilities, hospitals, veterans’ agencies, foster care and adoption agencies, nursing homes, policy settings, within the military, and in private practice. Internship education is the signature pedagogy for the social work profession and is required for completion of the MSW program. Internship placements in the MSW Program are conducted concurrently with academic classes in order for students to incorporate their academic learning in the internship. Students in the Regular Two Year Program complete two placements, one in the Foundation Year (first year) and one in the Concentration Year (second year) for a minimum of 900 hours over the course of four semesters. Students in the Advanced Standing One Year Program complete one placement in the Concentration Year (second year) for a minimum of 500 hours over the course of two semesters. Edinboro University recognizes that the work and family responsibilities of students do not always allow for full-time on-campus programs. Edinboro’s online students value the increased flexibility offered by their online course offerings. Night or day, any location with Internet access can become the classroom. Before enrolling into an online program with Edinboro University, they recommend that students consider the attributes of a successful online student and reflect on their own qualities to determine if Edinboro’s Online Campus is the right choice. Online learning offers some unique advantages over traditional classroom instruction. The nature of the online format often provides greater flexibility and convenience for students who have family and work commitments, as well as those restricted by their geographic location. Research indicates that the most successful online learners demonstrate a number of specific qualities. For those who identify with the following characteristics then they should consider enrolling into an online program or course: Independently Motivated; Rarely Procrastinates; Reads and Writes Well; Distraction Resistant. Texas State University’s Online MSW Program is an exciting opportunity for college-degreed people who are interested in pursuing a career based around improving society. Texas State’s MSW degree program is built on a liberal arts perspective. Their graduates perform extremely well on state licensing exams and have found employment across a wide variety of service delivery fields. The Texas State University School of Social Work offers the MSW program both on-campus and online. These degree offerings, regardless of delivery method, utilize the same textbooks and curricula and are taught by core faculty. The School of Social work also offers interesting electives in specific topics, such as health care, diversity, international social work, gerontology, spirituality, adventure therapy, work with veterans, and others. Texas State University’s Master of Social Work program is fully accredited by the Council on Social Work Education, and graduates are eligible for state licensure. Foundational courses include Human Behavior in Individual and Family Social Environments: This course presents individual and family dynamics across the life cycle, centering on human development, individual and group strengths, and the effects of cultural diversity. It enhances critical thinking and assessment skills about human behavior in social environments, and incorporates material on professional values, ethics, and social justice. Another foundation course is Human Behavior in Local and Global Social Environments. This course explores human functioning in the environment by studying families, groups, communities, organizations, and societies in local and global contexts. Through learning content on diversity, populations at risk, and social and economic justice, students build critical thinking and assessment skills using developmental and eco-systems frameworks. Another is Social Welfare Policy and Services. This foundation course studies the United States’ social welfare system, emphasizing how social welfare policies affect diverse populations. Topics include social welfare history; and policy development, implementation, evaluation, and values. University of Arkansas’ Online MSW Program is designed to prepare the bachelor’s-level social worker to practice independently and move into supervisory and leadership roles. The Online Advanced Standing Master of Social Work Program offers an online alternative for students who have earned a bachelor’s degree in social work and want to advance their education. It maintains as much flexibility as possible, allowing students time to schedule other responsibilities. Students will be able to “learn in place” wherever they live and still attend the flagship campus of the University of Arkansas as an online student.vThe one-year, full-time MSW program offers a curriculum that mirrors University of Arkansas’ on-campus program, but all of the classes are conducted online. 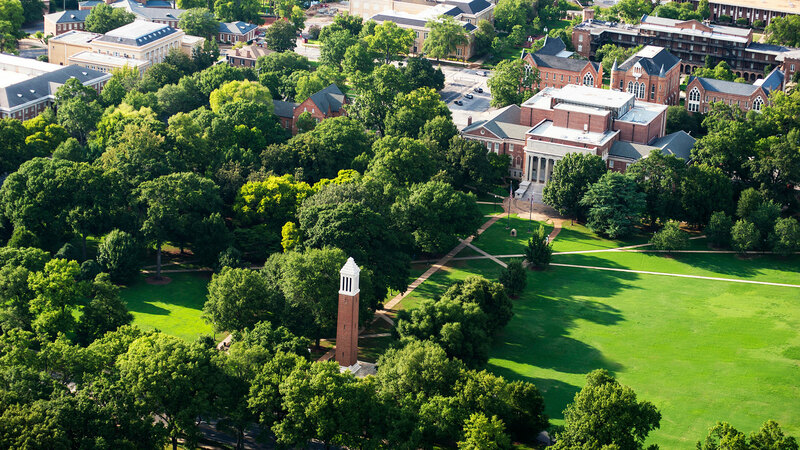 Orientation is also online, and no campus visits are required. Just as in any other social work program, students gain practice in the field through internships that will be arranged in the vicinity of their current home. These internships will be set up and monitored by the faculty at the University of Arkansas School of Social Work to ensure a quality learning experience. Student cohorts provide peer support and networking opportunities while courses allow students to work independently. For the fieldwork component, internships in current workplaces are considered (with restrictions) and average out to 22 hours per week. Students attend an internship Field Seminar each Tuesday evening, live via a virtual classroom. Completion of this degree can prepare the motivated student for a PhD program. A hallmark of the social work profession is to consistently seek out opportunities to advocate and fight for underrepresented and oppressed individuals in our communities, state, country and across the globe. To have a more just and equitable society everyone’s voice should be heard. However, faculty at University of Arkansas know that individuals who are disempowered are the least likely to speak up or be heard. As a result, UA’s staff feel it is their duty to continue to encourage social work practitioners, students, and allies to continue holding and creating space so that marginalized groups can be heard. The Online MSW Program prepares students to promote social justice and be positive change agents in the fast-growing field of social work, and empowering them to help others lead a healthier, more productive and safer life. The Kent School of Social Work at the University of Louisville has been educating social workers since 1936 and now offers a Master of Science in Social Work (MSSW) degree completely online. The Kent School is committed to teaching the next generation of social workers. As a graduate of the MSSW degree online, students achieve a deeper, more complex understanding of social work, critically evaluating and contemplating the material while experimenting with the flexible application of the knowledge in a variety of contexts. Students’ skills and knowledge will focus around 1) children and families, 2) health and mental health, and 3) community and international practice. Within the MSSW online program, students have the option of choosing an online specialization in Psychosocial Oncology, Mental Health, Alcohol and Drug Counseling, Military Social Work or Gerontology. The MSSW coursework focuses on helping students form methods and decision-making practices that promote social justice. The Kent School’s curriculum draws from various teaching methods and theories including Cognitive Flexibility Theory, Critical Thinking model, Bruner’s Spiral format, and Advanced Curriculum and Practice. There are two options for earning a Master of Social Work degree online: Regular 60-hr MSSW – starting every fall (one start per year) Current and future social work professionals who have a bachelor’s degree in any area of study other than Social Work can complete a 60 credit hours program and earn a Master in Social Work degree 100% online. Advanced Standing 30-hr MSSW – starts summer and fall (two starts per year) Social work professionals who have already earned a Bachelor of Social Work within the last seven years may enroll in the MSSW online degree and complete a 30 credit hours program starting in Fall 2014. Applicants must have a minimum undergraduate coursework GPA of 3.0, and a minimum Social Work coursework GPA of 3.25. Although all courses are delivered online, MSSW Practicum Placement requires a total of 900 hours of supervised practice be completed in a social service organization in the student’s state of residence prior to graduation. Delaware State University’s Online MSW Program has one concentration — advanced generalist practice. Accordingly, the program prepares students for advanced practice with individuals, families, groups, organizations, and communities. Having satisfied all of the program’s academic requirements, students leave the program with competencies allowing them to practice with and on behalf of Delawareans, and with clients throughout the region, across the nation and globally. Course offerings provide students an understanding of social, economic, political and interpersonal problems from a global perspective. Consequently, students comprehend the effects of problems, such as poverty, health disparities, racism and oppression on populations that live in parts of the world outside the United States. It is understood that these unique elements of the curriculum are congruent with the concepts and intervention principles that define the framework for all professional social work practice, that is, generalist practice. Therefore, students graduate able to generalize the knowledge, values and skills that underlie all social work practice in different settings with diverse populations experiencing multiple, complex problems. The MSW curriculum is grounded on the Department of Social Work’s five underpinnings. Graduates of the MSW program possess the competencies needed to engage, assess, intervene and evaluate individuals, families, treatment groups, organizations and communities. They are able to evaluate the efficacy of interventions and programs, integrate theories of personality and adult psychopathology, address health and mental health disparities from a public health perspective, and understand and assimilate theories and practice principles that guide human service administration. Graduates are competent to practice with systems of all sizes in a wide array of settings—from traditional public social welfare and governmental agencies to small and medium size nonprofit organizations to private and for-profit entities. The foundation courses present a generalist perspective to social work practice and consist of fundamental content in human behavior and the social environment, social policies, research, practice and field practicum. The advanced courses build upon the core foundation year competencies and practice behaviors of acquired knowledge, values and skills and demonstrate the integration and application of both the core and advanced competencies in practice with individuals, families, groups, organizations, and communities. The University of Missouri’s Online MSW Program can help students further their existing career in clinical practice or policy, planning and administration. For those who want to help individuals, families or groups maximize their opportunities for change, this may be the degree they’ve been seeking. Job titles of recent MSW graduates include: Adoption specialist; Cardiovascular social worker; Counselor; Family advocacy representative; Policy planning specialist; and Public health manager. The online master’s in social work is 100 percent online: no campus visits are required, however a field practicum involves supervised work at an approved agency. Students typically take two classes each semester. For those with advanced standing (i.e., they have completed a bachelor’s degree in social work within seven years of beginning MSW course work), they can complete the 39-credit-hour program in two years (six semesters). For those admitted with regular standing (i.e., having a bachelor’s degree in an area other than social work), they will need to complete 60 credit hours, which would most likely take three years (nine semesters). The MU School of Social Work accepts applications for the online MSW from students in Missouri and contiguous states (Iowa, Nebraska, Kansas, Oklahoma, Arkansas, Tennessee, Kentucky and Illinois). Students must reside within this region to maintain eligibility for the online MSW. Course work covers: Intervention with individuals, families, small groups and communities; Policy making and advocacy practice; Human behavior and psychopathology; Research in social work; and Management of social agencies. As a distance learner in a University of Missouri graduate program, students qualify for in-state tuition rates. Students choose from one of two concentration areas: advanced clinical practice or policy, planning and administration in human services. Completion of an approved college-level statistics course (e.g., SOC_WK 4310, STAT 1200, STAT 1300, ESC_PS 4170) with a grade of C- or higher is a prerequisite to admission to the program. Students will complete two practicums. The first (SOC_WK 7971) must be completed at an agency within Missouri or the contiguous states. The final practicum (SOC_WK 8971) may be completed at an agency in or outside of the region. Moving out of the region prior to the final practicum will result in program withdrawal. It is important to note that practicums must be completed Monday through Friday during normal workday hours (not evenings or weekends). Advanced Standing is available to students who have completed a bachelor’s degree in social work from a Council on Social Work Education (CSWE) accredited institution or students who are transferring from a CSWE-accredited two-year master’s degree program with one year of generalist studies field placement. The Traditional program is for students who hold a bachelor’s degree, but their degree is not in the social work concentration. Offering the first MSW of its kind in the country, FSU has the reputation and the experience to create a student-centric online experience where students get to know their peers, faculty, and professional staff. Students go through a widely recognized program and come out a career-ready professional capable of working in a number of areas. In addition to being part of an online program, FSU’s virtual learning environment, Canvas, helps students complete their degree from the comfort of their own home or anywhere they have a computer and an internet connection. University of Maine’s Online MSW Program prepares proficient and ethical social work professionals committed to social change in a variety of organizations, specializations, and professional roles. Beginning in 1991, the MSW Program has received continuous accreditation by the Council on Social Work Education and was reaccredited in 2012. Maine graduates go on to serve as social work clinicians, program planners, administrators, and community change agents in a wide range of public and private settings and systems. As a member of a diverse and dedicated community of students, faculty, field instructors, and alumni, students transform their commitment to improving the quality of life for people into professional knowledge and skills. They are poised for a successful and personally rewarding career promoting social change by providing services to individuals, families, groups, communities and organizations. The University of Maine MSW program prepares students to qualify for social work licensure at the LMSW level (Licensed Master Social Worker) upon graduation. University of Maine graduates who complete specific clinical social work courses and appropriate supervised work experience in a clinical setting for at least two years following graduation are eligible to apply for licensure at the LCSW (Licensed Clinical Social Worker) level. Students in the online program will enjoy courses taught by the same faculty who teach in the other MSW formats offered by Maine’s flagship university. Using state-of-the-art learning management systems, students will engage in the majority of classes without the need to be online at a particular day or time. These asynchronous classes will be supplemented by the field seminars that requires live interaction with other students from their home or workplace via the use of face-to-face technology. Field seminars will be scheduled after regular work hours. The field internship may be completed at qualifying organizations geographically convenient to students. The Regular Online and Online-Hybrid MSW Program consists of 63 semester credit hours. (Must be completed in three years). The MSW will be offered in several formats, in addition to the traditional on-campus format, over the next five years.The Advanced Standing Online MSW Program consists of 46 credit hours and is completed over two years. Students must be a recent BSW graduate from an accredited institution to be eligible for advanced standing. Advanced Standing Online MSW students begin their coursework during the summer with 6 credits of online MSW Advanced Standing Bridge Courses. The Advanced Standing students enroll in the advanced year classes after completion of the Summer Bridge classes. The University of Illinois’ online-hybrid iMSW program allows students to take online and blended (online/face-to-face) courses to complete their MSW degree. The face-to-face component meets four or fewer weekends per semester on the Urbana, IL campus or at the Illini Center in Chicago. The iMSW in Leadership and Social Change can be completed fully online, without ever coming to campus. The University of Illinois’ iMSW program prepares students for advanced social work practice and research in public and private agencies in two areas of concentration: Leadership and Social Change; and Advanced Clinical. Within the Advanced Clinical concentration, students choose a focus area: Mental Health; Health Care; Children, Youth and Family Services; and Schools. A total of 9 to 14 courses plus an internship are required for the Master of Social Work. Each class is worth four hours of graduate credit. Students who have earned a Bachelor of Social Work (BSW) from an accredited social work program within the past seven years are considered to have met the foundation coursework requirements and, therefore, have 9 courses to complete and a one semester internship. For students who do not have a BSW, there is a 14 course requirement and a two-semester internship. The internship occurs near the end of the program and must be completed in the student’s area of concentration. The program’s smaller class sizes offer opportunities to work closely with instructors and faculty. In order to be eligible for Advanced Standing status, a student’s BSW degree must be from a CSWE-accredited program within the last seven years. Field education provides students with the opportunity to apply and integrate classroom theoretical concepts into a real-life practice setting. The School of Social Work uses a modified block placement model, called the Illinois Placement Plan, a unique feature of the program. In a block placement, students become totally immersed in the field placement experience. With the exception of the Field Seminar, students complete all coursework prior to starting their internship. Indiana University’s online MSW program prepares students to work in a broad range of practice settings, including community mental health agencies, nursing homes, hospitals, schools, employee assistance programs, family service agencies, and community service agencies, in such careers as: Geriatric case manager; Family service worker; Child protective services (CPS) social worker; Foster care social worker; Adult protective services agent; Youth services specialist; Developmental disabilities specialist; Clinical social worker; Alcohol and drug abuse specialist; and Hospital social worker, among many others. The Indiana University Online Master of Social Work includes foundation coursework in diversity, human rights, and social justice; social policy; and social work practice in organizations, communities, and societies. Students also explore specialized fields of practice, such as military social work, e-social work, telebehavioral health social work, mental health, and addictions. Accredited by the Council on Social Work Education, the MSW offers the “advanced generalist” concentration, which prepares students for work in many areas. When students enroll in an IU Online program, they take IU classes, taught by the same faculty who teach on their campuses. It’s the flexible, affordable way to get the IU education students deserve without putting their life—or career—on hold. As a student in an IU Online program, students have the opportunity to engage with and seek help from professors and peers, just as they would in a campus-based program. Students also have access to a variety of academic and other support services that they can call on when they need additional assistance. Online students are an important part of the IU community and the school is dedicated to ensuring they have the resources needed to thrive in their online program. No matter what field students are in, an IU degree or certificate can improve the chances of earning a promotion or pay raise. To graduate with the MSW, students must complete 60 credit hours. Requirements are broken down as follows: Social work core courses (30 credit hours); Special practice areas courses (30 credit hours). As graduates of the oldest university-affiliated school of social work in the nation, students will promote social and economic justice, build healthier communities and organizations, and shape social and economic policies. Lousiana State University’s Online MSW Program is aimed at students seeking a rewarding career that enables them to transform lives and help people in areas such as child welfare, substance abuse treatment, gerontology, and more. LSU’s online courses are in seven-week modules, and are taught by LSU’s respected faculty, composed of renowned international scholars and researchers. This master’s in social work online program is a direct concentration program that focuses on working with individuals, groups and communities. The degree can be completed in two years if taking two classes at a time, or in one year if the student has a bachelor’s degree in social work. The first year of the program is the “foundation year,” which provides instruction in areas like social work practice, history, policy, research, diversity and oppression, research, and human behavior. Once a student completes all foundation course work, including both SW 7007 & SW 7008 Foundation Internships I & II, they may continue to the advanced year of the program. It is not possible to register for advanced instruction courses until all foundation courses (including internship) have been completed. The second year of study, or “advanced instruction year,” includes courses such as advanced direct practice; community and agency contexts for direct practice; advanced social policy, and 12 hours of electives. Students with a BSW may be able to enter the advanced year as an advanced standing student if they have successfully met admission criteria. To obtain the MSW degree, students must: Successfully complete 60 semester hours of study, following the prescribed sequence; Maintain an overall grade point average of 3.00; and satisfactorily complete the exit requirement: a thesis or a non-thesis option. Students choosing to write a thesis must submit a thesis proposal to a prospective thesis committee chair by the end of the foundation year. Once the faculty member approves the proposal and agrees to chair the committee, the student may register for 3 hours of SW 8000: Thesis Research as early as the following summer and fall semesters. Students may also choose the non-thesis option, which is a Capstone Experience. The Capstone Experience (CE) is an integrative and reflective non-thesis option composed of three major components, all of which must be satisfactorily completed by students: A Comprehensive Exam; a Portfolio of Representative Work; and an Integrative Seminar. Widener University’s Online MSW Program incorporates trauma as a central theme in all coursework. Students’ understanding of trauma as a potential root cause in mental health challenges means they are well-prepared to advance their client base and career in treating individuals, families, and communities in the area in which they would like to have the greatest impact. The program offers a Regular admission option or an Advanced Standing admission option for those who have earned their BSW degree. To meet the many needs of Widener’s diverse student population, they offer multiple program options. The 64-credit hour Regular admissions option is available to all applicants who have earned a regionally accredited undergraduate degree. It is not required to have a BSW or related social sciences degree. The 41-credit hour Advanced Standing option is available to applicants who have earned an undergraduate degree in social work, within the last six years, from a CSWE-accredited program. It can be completed within just two years. 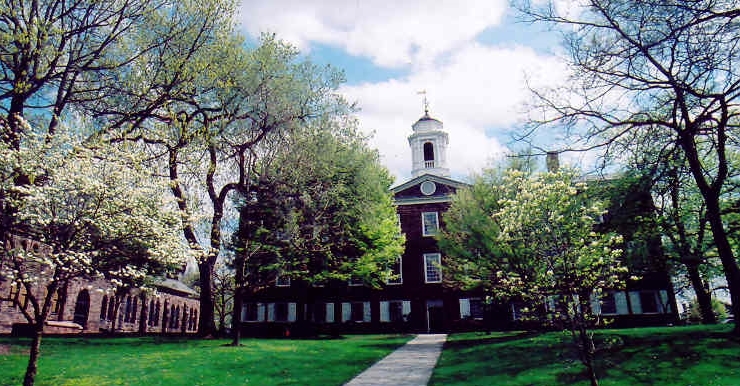 These applicants are eligible to apply to the Advanced Standing option, however, holding an undergraduate degree in social work does not guarantee acceptance. There is also a Hybrid Dual Degree available, combining a Masters Of Social Work with a Masters of Education, Human Sexuality Studies. While earning the MSW, students have the option of also applying for a trauma certificate to deepen their knowledge and direct experience. The trauma certificate includes two additional credits in a Trauma Supervision Seminar. Identified as a core issue in mental health, the Council on Social Work Education (CSWE) defined standards for competent practice in response to trauma as an ethical obligation in social work education. Overcoming trauma’s effects — substance abuse, illness, inability to maintain gainful employment, and other social-emotional issues — requires a skilled trauma-trained social work professional. The online, CSWE-accredited MSW curriculum weaves trauma and its impact on mental health into all coursework. This prepares clinical social workers to deliver culturally competent, evidence-based social work services. Carving out time to work and complete fieldwork hours and coursework is a top concern among students who pursue their MSW. This is why the online MSW at Widener remains dedicated to a collaborative and supportive experience throughout the entire program. Widener’s diverse faculty includes clinicians as well as community and clinically informed policy and social researchers, many of whom are considered experts in the social work field. 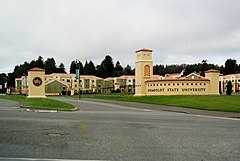 Humboldt State University’s Online MSW Program makes it so it doesn’t matter where students live or work — they can still earn their MSW from Humboldt State University. Courses are online and designed to support people who are rooted in their communities. Whether they want to advance in their current career, make a transition, or add a degree to amplify their voice and better serve the community they call home, Humboldt State’s accessible program has an option to meet their needs. HSU offer an affordable tuition rate wherever students live and with program-specific financial assistance, over half of HSU students benefit from scholarships or stipends to support their studies. Humboldt State’s program maintains an emphasis on working with Indigenous and rural communities and is designed to decolonize mainstream social work education practices. The program’s focus is on building reciprocal and dynamic relationships: with students and their home community through professional internships; between the curriculum and students’ lived experiences; and among students and faculty through intentionally-fostered online learning communities. HSU’s program is rigorous and students should be able to visit campus as required, attend live web sessions weekly and dedicate at least 25 hours a week to this part-time program. The program is fully accredited by the Council on Social Work Education. The program teaches students how to achieve a disciplined, compassionate presence to a caring and ethical practice. The mission of the Master of Social Work (MSW) program is to prepare students for professional social work practice responsive to the challenges and resources present in rural areas in general and indigenous communities in particular, and to present local historical and contemporary social issues within a global perspective. The MSW Program is designed to help meet (1) the immediate need in northern coastal California and (2) the growing need in public, private and tribal social service agencies in the United States for advanced generalist social work professionals. Columbia University’s online MSW program is the more recently established delivery method of the school’s esteemed residential social work program. Without the the disruption and expense of a move to New York City, students can take advantage of the renowned resources, faculty and tradition of Columbia’s MSW program. As a fully online curriculum, students don’t have to travel anywhere to take their classes and are able to do their field placement in the city where they live. Students are able to build a strong network of contacts through close online interactions with faculty and peers. The convenience of the online delivery format allows students to balance their studies with other life commitments. Online MSW program students are welcome to visit campus at any time, and they can take part in the week-long orientation held on campus, if they wish. For the capstone project at the end of their final year, online students may participate in person or virtually by computer linkup; alternatively, they can complete a thesis project. At graduation, online students are urged to come to campus to take part in this crowning ceremony; they are not, however, required to attend graduation to receive their diplomas. Most classes are synchronous (live), meaning students must be at their computer when class is taking place. The online MSW offers 5 program choices: Two-Year Program; Advanced Standing; Reduced Residency; Extended Program; and Transfer Program. And for degree specializations, it offers 2 concentrations — Advanced Clinical Practice and Social Enterprise Administration – and 2 fields of practice: Family, Youth & Children’s Services; and Health, Mental Health & Disabilities. Online students have access to the same team of student support professionals as residential students, to ensure the best possible Columbia experience. It is important to note that the Office of Advising will assign a social work professional who lives in the student’s area to serve as their advisor. The advisor’s role is to support the student’s academic coursework and field work, as well as the integration between the two kinds of learning. Students will have face-to-face meetings with their advisor once a month. The online MSSA program (equivalent to an MSW) at Case Western Reserve has the same academic standards and distinguished faculty as their prestigious on-campus MSSA program in Cleveland. The 100% online format of the program makes it possible to earn a graduate social work degree from a well-respected school while simultaneously balancing career and family obligations. Students choose from two distinct concentrations. Community Practice for Social Change develops the practical skills and values needed to lead and organize comprehensive social change on a broad scale. The concentration also addresses a range of issues including globalization, poverty, inequality and oppression, cultural diversity, women’s issues, human rights, and more. Direct Practice helps students learn to engage individuals, families and groups, assess client needs and strengths, provide or help arrange needed services and support, weigh intervention alternatives, implement change strategies, and evaluate results. With the Direct Practice Concentration, students select one of two specializations. Children, Youth and Families (CYF) focuses on theory and practice directly relating to the identification and assessment of problems that affect young people and families, including adoption, drugs, child and adolescent mental health, and physical abuse and violence. Course work may be applied toward educational requirements for membership in the American Association for Marriage and Family Therapy. The other specialization, Mental Health with Adults (MHA) focuses on creating sustainable living by transforming communities and developing and disseminating effective theory and practice for community-based mental health practice with adults, as well as examining public health, drug treatment, and mental health policies, practices, and services. The field experience is a chance to put what students are learning into practice, offers a unique opportunity to work with senior-level social work leaders, and helps develop a professional identity that can help students be successful in their future career. Case requires that the field placement be secured fairly early on in the program, after finding that in the long-term, having students secure this placement earlier helps ensure their success. Metropolitan State University of Denver’s Online MSW Program educates social workers to serve the needs of individuals, families, groups, communities and organizations in a multicultural and global society. MSU Denver’s MSW Program is fully accredited by the Council on Social Work Education, the sole accrediting body for social work. The program combines academic, research and field experience into a rigorous curriculum that teaches ethical decision making, scientific inquiry, cultural sensitivity, and global awareness as well as clinical assessment and intervention skills, leadership and management skills, and community organizing. The Department of Social Work offers the Bachelor of Science in Social Work and Master of Social Work Programs fully online. This exciting opportunity allows the Department to reach outside the Denver Metro area to Colorado’s rural communities and beyond. The fully online delivery option also increases access for students balancing work, care-taking, and other responsibilities with school. Fully online delivery means students will be taking their courses in an online format which will include both synchronous and asynchronous activities. Rutgers University’s 100% online MSW program in clinical social work offers close interactions between students and faculty and is designed for self-directed students who seek the flexibility and convenience of online learning. Students in this program complete their MSW in three years and classes are held in an asynchronous format, which means that there is not a fixed meeting time. Just like in a traditional, in-person classroom, courses have regularly scheduled assignments and due dates. For the online program, students and faculty interact via threaded discussions and other web-based technologies. Field placement at a social service agency begins in the third semester of the first year and continues until program completion. The advanced standing option is available to students who have a BSW or BASW from a CSWE accredited School of Social Work, and allows students to complete the MSW program in just four semesters. Once admitted to the MSW, 100% online students may also apply to the Violence Against Women and Children Certificate (VAWC) program, which offers specialized courses that complement field placements for students witih this area of interest. Field education is an essential pedagogical component of the MSW education. In the 100% online program, the field internship begins in the third semester. Students complete two field placements – a foundation level placement for three semesters (11.25 hours/week) and an advanced clinical placement for four semesters (13.5 hours/week). Advanced standing students begin placement in their first semester, and complete placement over four semesters (16 hours/week). Students will work with the 100% online field faculty to identify an appropriate field placement setting. The School has relationships with numerous agencies across the country to meet the interests of online program students. All students, except those with baccalaureate degrees from programs accredited by the Council on Social Work Education, are required to take all of the foundation courses. These courses contain a body of knowledge, values, and skills essential for social work practice. This common base is transferable among settings, population groups, and problem areas. The foundation curriculum consists of courses in generalist social work practice with corresponding field instruction, human behavior and the social environment, psychopathology, introductory social work research methods, social welfare policy and services, and a course focused on diversity and oppression. Successful completion of the foundation program is required before beginning the advanced curriculum. Colorado State University’s Distance MSW Program is a 3 year part-time hybrid program that combines online coursework with two intensive learning weekends per semester. CSU’s distance program is designed to be accessible to students who are seeking a graduate degree while balancing other work and life demands. The distance program features: Exemplary instruction from experienced faculty; Supportive and accessible program staff; and a cohort model that facilitates peer support and connection. The distance program curriculum is the same as the on-campus curriculum and thus enjoys accreditation by the Council on Social Work Education (CSWE). There are two field education courses within the MSW program, providing nearly 1,000 hours of agency-based learning. CSU social work faculty work closely with students to collaboratively facilitate their field placement with partnering organizations. When pursuing graduate study in social work, the field education requirements are an important consideration. The required hours are established by the Council on Social Work Education and therefore, they are similar across accredited MSW graduate programs. At CSU, the foundation field placement requires 270 hours (approximately 10 hours per week for two semesters) and the concentration field placement requires 675 hours (approximately 12 hours per week for four semesters). The CSU SSW Distance MSW Program is a cohort model program meaning CSU admits one group or cohort of students for the entire three years of the program, with advanced standing students joining the cohort beginning in the second year. The Advanced Standing Distance MSW Program is a 2 year part time hybrid program. The Advanced Standing curriculum is the same as the on-campus curriculum. Advanced Standing students must have earned a BSW from a program accredited by the Council on Social Work Education within the past seven years. The BSW degree must be granted prior to the beginning of advanced standing classes. Colorado State University’s program features a nationally recognized advanced generalist approach, ensuring students develop a robust skill set during their master’s in social work. CSU prepares students to be a social work practitioner in complex, diverse, and dynamic settings, with the skills to promote human rights and individual, community, and global well-being. Throughout social work courses, students will learn how to: Use community resources to promote the well-being of all; Address the complexities of people and their interactions through a recognized body of knowledge; Advocate for the welfare of humankind; Lead direct and indirect interventions that are client-centered, problem-focused, and research-based; and integrate research into practice, analyze value and ethical dilemmas, and add greater depth to the provision of services. Boston University’s online MSW Program offers an innovative part-time format with majors in Clinical Practice or Macro Practice and 3 track options, ensuring that each student’s graduate program is tailored to his or her academic and professional experience. For those majoring in Clinical, this program enables them to become license eligible in their state of residence. Students fulfill the requirements for the MSW degree by: Taking required and elective courses in a convenient online format, delivered asynchronously; Attending weekly required Live Classroom sessions; and Completing 1 or 2 field internships (depending upon track) within or near their geographic area. The curriculum at BUSSW emphasizes diversity, ethics, populations-at-risk, and social and economic justice, which is integrated throughout foundation and advanced MSW courses. The part-time Online MSW Program can typically be completed in 6–9 consecutive semesters, depending on the track. Courses are taken sequentially, most lasting for 7 weeks. There are three options to complete the Online MSW degree. The Traditional Track consists of 65 credits which can be completed in 3 years over 9 semesters (fall, spring, and summer). Students take foundation and advanced courses online, attend weekly required Live Classroom sessions held Sunday or Monday nights, and complete 2 field internships for a total of 1,200 hours in the field. The Human Service Experience Track is open to applicants with a minimum of 2 years of supervised human services experience. Consists of 65 credits which can be completed in 3 years over the course of 9 semesters (fall, spring, and summer). Students take foundation and advanced courses online, attend weekly required Live Classroom sessions held Sunday or Monday nights, and complete a single 1,000 hour field internship. Finally, the Advanced Standing Track is open to applicants with an undergraduate social work degree from an institution accredited by the Council on Social Work Education (CSWE). The undergraduate social work degree must have been earned within 6 years of entry into the program. No additional transfer credits will be accepted toward the MSW degree. Consists of 43 credits (or 40 credits if the student passes the Research 1 Waiver Exam) which can be completed over 6 consecutive semesters. Students enroll in courses online, attend weekly required Live Classroom sessions held Sunday or Monday nights, and complete a single advanced 1,000-hour field internship. Morgan State University’s Online MSW Program is dedicated to enhancing the knowledge base of future social workers and leaders in America with a specific interest in specializing in urban areas. The mission of the School of social work is to prepare urban social work leaders committed to the alleviation of human suffering and the improvement of the quality of life for urban residents. Because African Americans make up a substantial percentage of the urban population, and are also over represented among urban residents facing unrelenting social and economic problems, the BSW, MSW and PhD programs have a major focus on preparing its graduates to address, systematic, ally and strategically, issues of poverty and socioeconomic disadvantage, interpersonal and community violence, substance abuse and mental health problems, social injustice and discrimination. The MSW department’s mission complements that of the university and is consistent with the purposes of social work education by preparing autonomous social work professionals to become leaders in the urban community. The department’s emphasis on alleviating poverty and human suffering, oppression, and injustice through multi-level and specialized fields of practice further aligns with the hallmarks of the social work profession. The Online MSW program offers the same 60 credit hour program as Morgan State’s traditional program, including 12 credits of supervised field practicum. Students will take 8-week online courses over two academic years and complete 2 supervised field practicum experiences in human services and related agencies. At this time the MSW Online program offers a concentration in Urban Children, Youth and Families. All courses are offered fully online. Each class session takes place over a period of 7 days in which students complete the learning activities for the week. Most of the course interaction is asynchronous and can be done at students’ convenience within parameters set by the instructor in the syllabus or course calendar. (Asynchronous means students and faculty don’t have to be present in the course at the same time to complete a learning activity.) However, there may be required real time (i.e., synchronous) interactions with the instructor via web conferencing. Students must follow the program of study exactly. Weekly attendance is required. Attendance is tracked by completion and submission of weekly learning activities. The State University at Buffalo’s Online MSW Program is rooted in evidence-based practice and integrates trauma-informed and human rights perspectives. It’s how their students build their understanding of the significant roles that psychological trauma and human rights violations play in a range of social issues. Graduates are prepared to help create transformational change, in clients and delivery systems. The online program offers the in-depth knowledge and skill building of the school’s elite traditional program and is fully accredited by the Council on Social Work Education (CSWE). Buffalo offers a traditional 60-credit program as well as a 35-credit advanced standing program for those with a BSW. Online courses can have both synchronous and asynchronous components to them. Faculty members will advise students on the number of synchronous sessions required in any course. While it is possible to complete the advanced year entirely online across many different focus areas, for specific interests not offered online, travel to the University at Buffalo School of Social Work would be required. The amount of travel depends on course selection. The school’s website details the list of electives, advanced topics, and advanced interventions courses, which outlines the online, hybrid and seated course offerings for each course topic. Non-resident online MSW students (out-of-state and international) must take all of their coursework fully online in order to be eligible for the lower non-resident online tuition rate. If non-resident students register for a seated or hybrid course, they will be charged the full seated non-resident rate for all courses that semester. Field placements are specialized field training opportunities that allow students to explore the practice areas that interest them. Online students complete the in-person field placements in their home region. Due to the time and consistency required for field placements, students should not plan to relocate throughout the duration of study. Field placements can be completed over the course of two semesters each with a minimum of 15 hours per week. They can be completed during weekday daytime working hours. All Online MSW students will have priority enrollment for any foundation online course. The online MSW program at Simmons College prepares clinical social workers for direct practice in settings such as schools, court clinics, health centers, and hospitals. The online Master of Social Work curriculum draws on practical approaches, such as solution-focused therapy, motivational interviewing, and cognitive behavior therapy, as well as theories of human development, relational and group process, cultural learning, and social policy. After completing required coursework and in-person field education, students emerge ready to use a repertoire of psychodynamic and evidence-informed approaches to intervention and treatment. The online MSW program offers full-time, part-time, and accelerated tracks so students can earn their degree at the pace that best fits their lifestyle. Simmons uses a cohort model that enables students to connect with classmates and professors and build relationships that continue after graduation. There are five cohort start dates per year, and applications are reviewed on a rolling basis. Simmons offers a clinically focused online program, where students choose one of four specialized courses of study or an Individualized Course of Study. The first course of study is Children & Families, for students who desire to promote the overall well-being of children and families in schools, hospitals, mental health centers, courts, and juvenile justice settings. The second specialization area is Trauma & Interpersonal Violence, meant for students who wish to address social and systemic problems that perpetuate trauma, and help survivors cope using the latest evidence-based approaches and principles from neurobiology. The Health & Aging specialty is designed for students who desire to improve the well-being of older adults and their families as they navigate health-related challenges together and learn how to thrive during each stage of life. The final area of focus is Mental Health & Addictions, which helps students explore treatments and assessments that benefit people suffering from persistent mental illness and substance use disorders. University of Central Florida’s Online MSW Program allows students to work with diverse populations in a variety of fields such as mental health, addiction, homelessness, human rights and social welfare. With an online MSW degree from UCF, students can effect lasting change and protect the rights and interests of the most vulnerable segments of society. UCF’s part-time, nine-semester online MSW degree is designed for individuals who do not have a Bachelor of Social Work (BSW) or who earned their BSW more than five years ago. The online MSW program—fully accredited by the Council on Social Work Education (CSWE)—offers classes in seven-week terms with students enrolled in one class per term. Students who have already earned a Bachelor of Social Work (BSW) degree from a CSWE-accredited program can enroll in the four-semester MSW Advanced Standing option, which features seven-week terms with one course per term. UCF’s online MSW program aims to help clinical social work students become skilled practitioners who will work to promote social and economic justice, overall well-being and human rights. The online Master of Social Work at UCF is a convenient solution for those looking to earn their degrees through distance education, offering 7-week terms in which students focus on only one asynchronous course at a time. Field placements are available across the United States within a 45-mile radius of the student’s location. The part-time track consists of 62 credit hours completed in a 3-year cohort model for stronger peer support, while the part-time advanced standing track involves 32 credit hours completed over four semesters in a cohort model. Students are not permitted to switch between the online MSW tracks and the on-campus, face-to-face tracks due to the strict cohort model the Online MSW follows. The online MSW is completed fully online with the exception of in-person field experiences. Participation is expected and required much like in face-to-face courses. That said, not all students are suited for online learning. The online MSW may not be the right fit if the student: does not have unlimited access to high-speed internet; cannot type or type very slowly; does not have access or basic knowledge of computer and internet skills including software applications, uploading and downloading documents; has difficulty with time-management and/or are unable to commit to 18 hours per week of coursework and an additional 10-15 hours for field placement. Portland State University’s Online MSW Program is the first MSW online option in the Pacific Northwest and is uniquely suited to deliver a quality academic program. Faculty based in Portland State’s campus program will be collaboratively developing and delivering the curriculum with an advanced focus on Practice and Leadership with Communities and Organizations or Health Across the Lifespan. The program is uniquely designed for those who have traditionally lacked access to the MSW degree. Portland State will offer a dynamic learning opportunity, using online curriculum, innovative teaching techniques and student directed learning in a structure that supports a family, work, school life balance. Students complete the MSW degree over the course of 3 years, taking 6-9 credits per term (fall, winter, spring, summer). During years 2 and 3, students complete a 16 hour/week field placement. The MSW Online Option has two advanced concentrations to choose from: Health Across the Lifespan and Practice and Leadership with Communities and Organizations. Courses are identical to what is taught in the other options, though the courses have been redesigned to fit the online delivery format. The courses are web based using their learning management system, D2L, which is similar to systems like “Blackboard.” The 11-week courses are broken into smaller learning modules that require students to be actively engaged in learning about 10 hours per week per course. The online curriculum allows students more flexibility as to when they complete the learning modules, though there will be significant work required each week. The online course design supports the use of more innovative teaching techniques and more student-directed learning. Students will also be expected to periodically participate in online face-to-face meetings with other students and faculty. Practice and Leadership with Communities and Organizations prepares students for careers in community practice, human services administration, policy practice, and advocacy. This is geared toward students who are currently working in the field and want to focus on developing leadership skills (for any kind of setting – clinical or community based) or who have an interest in community practice. Students complete internships during years 2 and 3 of the Online MSW program. It will be a collaborative process between the student and the field faculty that is similar to the process in the school’s other programs. Staff will work with students to identify suitable agencies in their community that can support their development of social work skills. During years 2 and 3 of the MSW Online program, students participate in field placement activities 16 hours each week of the term, including finals week. University of New Hampshire’s Online MSW Program provides the same quality professional education that their campus-based programs offer. UNH proudly educates social work professionals to work effectively with diverse individuals, families, groups, organizations, and communities to optimize human potential for productive participation in society. The Advanced Generalist Curriculum prepares students for effective advanced intervention with client systems of various sizes and to work in any setting where social workers are employed. The online MSW program is ideal for working professionals, single parents, and anyone looking to enhance or move into careers such as health care, education, mental health, child care, substance abuse, child welfare, employee assistance programs, the military and other human service oriented environments. The online environment provides new learning opportunities and creates direct relationships between students and instructors. The majority of the 20 required courses are provided asynchronously, meaning students do not need to log into a course at any specific time, rather they may complete required readings, discussion boards, and other course assignments on their own time as long as they meet assignment deadlines. There are several courses that do have a synchronous component which requires students to log into a course at a designated time for a live class (typically held Monday or Wednesday evenings). The flexibility that online education provides can make earning their MSW a reality. All online courses are designed by full-time faculty in the Department of Social Work. Additionally, full-time faculty share responsibility for teaching the core social work online courses and also provide guidance, mentorship, and oversight of all courses taught by faculty outside the Department to guarantee exceptional educational quality. Maintaining a personal connection with each student is a priority for UNH’s faculty. Doing so in an online environment presents challenges but also unique opportunities. 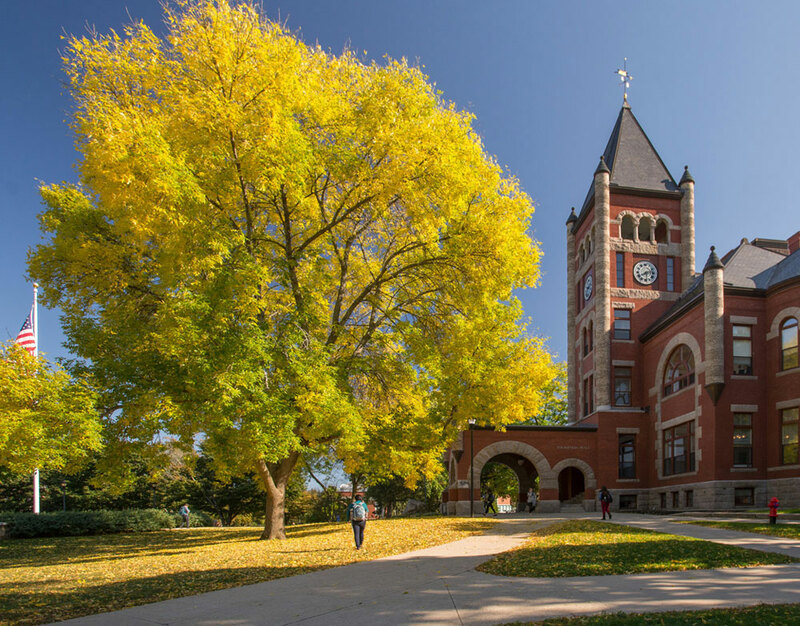 UNH provides personal connections through use of technologies such as Skype and Zoom to provide advising and mentorship that is essential to becoming a professional social worker. Students are required to complete two field internships at a program or agency in their local community. Students will work with Department of Social Work’s field office to identify acceptable field sites. The online MSW program at USC (known as MSW@USC) reflects the evolution of and innovations in the field of social work. The coursework explores emerging needs in the field to prepare a new kind of social worker who can meet the demands of 21st-century society. The online MSW program at USC features a rigorous curriculum that is the same as that of the on-campus program. Courses are delivered online and taught by the school’s award-winning faculty. The traditional program track is designed for students who hold an undergraduate degree in a discipline other than social work. The program can be completed on a full-time or part-time basis. For students who hold a Bachelor of Social Work (BSW) from an accredited institution, they are eligible to apply for the advanced standing program. The school’s departments house large, broad areas of interest. USC students will build relationships with faculty members and classmates and, upon graduation from the program, will join the USC alumni network of more than 300,000 graduates worldwide. MSW@USC students choose a specific department of study when they begin their classes: Adult Mental Health & Wellness; Children, Youth, and Families; and Social Change & Innovation. Students begin their studies with a foundation in social work principles and practice and then build on that core knowledge to support their learning in one of the three departments. Students’ studies will be strengthened through field education. The MSW curriculum explores content relevant to today’s employers, expanding on the program’s historic strengths while increasing emphasis on: Early intervention, prevention and wellness; Leadership and effective collaboration; Implications of new findings in neuroscience; and Core competencies (evidence-based practices, evidence-informed interventions). Hands-on experience is an integral part of any MSW curriculum. Throughout the program, students will spend more than 1,000 hours completing field education — online and offline. MSW@USC students also have the opportunity to take courses from other online graduate programs delivered by top-tier colleges and universities. 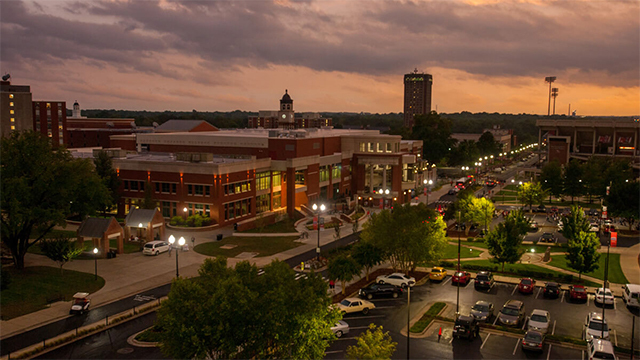 The Online MSW Program from Western Kentucky University provides the values, theoretical knowledge and skills that allow students to function at many levels of intervention: individual, family, group, organizations, and community. There are two options for online students: Advanced Standing Part-Time is a 33 credit hour program specifically for students who have completed their Bachelor of Social Work within the last seven years. Traditional Part-Time is a 60 credit hour program specifically for students who have a Bachelor’s degree from an accredited university. The program prepares students for professional social work practice at the graduate level to meet the needs of increasingly diverse rural populations. It is particularly dedicated to addressing the work-force needs of agencies that serve families and communities. Moreover, the MSW curriculum emphasizes social work practice at the advanced level in rural communities. All program options require students to complete SWRK 661 as a capstone course prior to graduation. This course integrates the entire curriculum in a comprehensive practice experience. Students are required to pass a comprehensive examination, the Practice Readiness Exam, prior to graduation. Prospective students must have at least 30 hours in liberal arts coursework (social sciences, humanities, natural sciences, communications, mathematics, etc. ), including at least one course in sociology, psychology, or anthropology and at least one course in American government, political science, or economics. All courses counted towards the liberal arts requirement must have been completed with a final grade of “C” or higher. Applicants may be enrolled in liberal arts prerequisite courses while their MSW applications are being evaluated, but all of these courses must have been successfully completed before admission to the program. Offers of admission will be contingent upon the successful completion of all required courses. The Online MSW Program at Fordham University offers several plans of study designed to fit students’ educational and professional background as well as their schedule. The Traditional online MSW program is designed for those who earned a bachelor’s degree from an accredited institution. They will complete 66 credits of generalist and competency-specific coursework that can be completed in as few as 16 months accelerated, 24 months full time, or 32 months part time. If a student has earned a Bachelor of Social Work (BSW) or completed the first year of a CSWE-accredited MSW program, they may be eligible for advanced standing. This plan of study enables students to bypass the foundational coursework and earn their degree in as few as eight months. The online MSW program features a future-focused, advanced integrated practice curriculum that gives students the skills they need to work effectively across all social work contexts. The first half of the curriculum focuses on foundational master’s-level social work concepts related to theory and ethics. In the second phase of the curriculum, students take courses within one or more competency areas that enable them to focus their education while gaining all the skills needed to provide advanced integrated practice. Students receive advising as they create their own curriculum of courses that help them reach their career goals. The following four competency areas are currently offered as part of the online MSW program: Individuals and Families allows students to learn how to provide direct services that address clients’ environment and overall well-being. Organizations and Community prepares students to work effectively with entire communities and various types of organizations, including private and public companies and not-for-profits. Evaluation gives students the tools to become a more versatile social worker as they study and apply new ideas in the field. Policy Practice and Advocacy helps students develop skills related to managing organizations and systems, creating policy, writing grant proposals, and obtaining funding. The University of Denver’s Online MSW Program seeks dedicated, aspiring social workers to join their diverse online MSW community. They offer four convenient start dates throughout the year, so students can begin classes on their schedule. Students gain practical skills in mental health and trauma and prepare for a career working with individuals, families and communities impacted by oppression. Students attend online classes and directly apply their new skills during field internships in their community. Students can earn their MSW online in as few as 18 months with DU’s advanced standing program. If students have earned a Bachelor of Social Work (BSW) from a CSWE-accredited institution at any point in time, they are eligible to apply to DU’s online advanced standing MSW program that focuses on the concentration curriculum in Mental Health and Trauma. Their mission is to foster social responsibility regarding social and economic justice, quality of life and multicultural communities, based on equality for all people. The University of Denver’s GSSW is a top-ranked school of social work that prepares social workers who are committed to social justice. Faculty have robust community experience and are committed to providing a high-quality education and mentoring students so they can pursue a career creating positive change. DU’s curriculum and community are grounded in equity, inclusion and diversity, and they seek passionate change makers who will join their efforts to make the world a more just place. MSW@Denver students attend live online classes, complete engaging coursework and grow their personal relationships through DU’s online campus. Students easily connect with their network of classmates, professors and support services. The online campus is accessible on tablets or smartphones using DU’s convenient mobile app. In-person, hands-on experience is a key aspect of social work education, and during their internships, students make a difference in the community while building their skill set and receiving mentorship from experienced social work professionals. GSSW facilitates internships in traditional and non-traditional settings, supporting the individual goals of their diverse student community. Our Lady of the Lake University’s Online MSW Program prepares students to change the lives of children and families in need, while building the foundation for their own career in social service leadership and advanced direct practice. Whether students are already working in the field or have the desire to join it, OLLU’s online MSW can help them achieve their goals of helping society and fighting for justice. OLLU has taken their long historied and well respected Master of Social Work into an online format. Whether students have a bachelor’s in social work or have a calling to work in this important field, but graduated with a bachelor’s degree in another subject, OLLU’s online Master of Social Work has a program to fit their needs. The Advanced Standing Program is designed for those with their Bachelor of Social Work and can be completed in just under two years. The Foundation Program is for those with a bachelor’s degree in something other than social work. This program provides the foundational knowledge needed and can be completed in a little more than three years. A master’s degree in social work is a requirement for leadership positions in most government-funded, non-profit social service organizations. OLLU’s online Master of Social Work (MSW) is one of only three social work master’s degree programs in the country with an emphasis on service to Hispanic families and children. The Hispanic population is the fastest-growing demographic community nationwide, meaning social workers all over America can benefit from particular expertise and understanding of the issues facing the Hispanic community. Such an advantage can help them provide not only the very best service but also to position themselves for maximum success and leadership in their social work careers. The MSW from Our Lady of the Lake University also focuses on social work across the life span, including service to elderly adults, who currently represent the largest single community of social service recipients. Accredited by the Council on Social Work Education, the online MSW from Our Lady of the Lake University is a degree designed for versatility. Graduates of the program enter a robust job market, in which social workers with a Master of Social Work degree are highly sought to take leadership roles in social service and governmental agencies. The Catholic University of America’s Online MSW Program gives students the opportunity to earn the advanced credentials required to practice clinical social work and be a force for good in their community. The online clinical Master of Social Work (MSW) from The Catholic University of America’s National Catholic School of Social Service (NCSSS) prepares students to obtain their license in clinical social work practice. Catholic University’s online learning format allows students to prepare for the clinical social work licensing exam whenever and wherever it is most convenient for them. The comprehensive clinical social work coursework will prepare students for a successful career in a wide variety of fields, including: Medical/Public Health; Mental Health; Substance Abuse; Elderly Care; Child Welfare; and K-12 Social Work. Although an undergraduate degree in social work is not required to apply, a true desire to serve all people is necessary when considering the MSW program. The rigorous curriculum of Catholic University’s online MSW program includes all aspects of clinical practice with individuals, families, couples, and groups. Dimensions of assessment and diagnoses are thoroughly addressed across the life span. Throughout a student’s tenure, they’ll get extensive preparation in the understanding and application of theory in evidence-based practice. Best of all, they’ll have the opportunity to decide where they do their field placement. Students say where they want to be placed, and faculty will work with them to make it happen (if the selection meets program standards). The Field Education Office helps students identify social service providers in their area that are interested in providing an MSW internship for their social work field experience. The online MSW offers a small, intimate learning environment, as students are given the opportunity to develop a professional working relationship with faculty. The faculty acts as mentors enabling students to become part of a valuable professional network that students can tap into for years to come. The online MSW program includes the same features that make the on-campus program unique: Small class sizes – classes are typically capped at 25 students; A hands-on, responsive faculty; Student input in identifying field placements; and Emphasis on the understanding and application of theory in evidence-based practices. The program embraces a vision of creating sustainable, equitable, and diverse communities committed to universal human rights, and social and economic justice, backed by biblical principle.